When will be Don't Tell the Doctor next episode air date? Is Don't Tell the Doctor renewed or cancelled? Where to countdown Don't Tell the Doctor air dates? Is Don't Tell the Doctor worth watching? Four doctors rush to the rescue of self-diagnosing young people who have sought medical advice from social media and the internet with disastrous consequences. Nav has extreme acne, Zac's hands seize up occasionally, Paul has a severe perspiration problem, and Emma has an unsightly varicose vein on her leg. Diet pills purchased from a man in a car park turn out to be deadly, an unlicensed tanning drug takes its toll, and a woman seeks help with panic attacks and sleeping problems. Aspiring actress Blessing seeks advice about a black lump on her ear, Alan is plagued by a mysterious rash and Essex rocker Kiran has ringing in his ears. Susan's DIY eczema solution left her hospitalized, young dad James is plagued with all-over skin tags, Kyri's head is covered in bulbous bleeding cysts, and fitness model Sarah is cancelling shoots because of her bloated painful stomach. 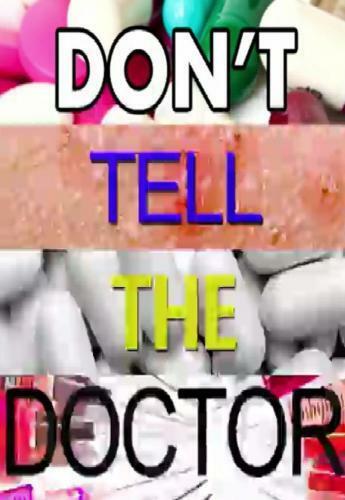 Don't Tell the Doctor next episode air date provides TVMaze for you. EpisoDate.com is your TV show guide to Countdown Don't Tell the Doctor Episode Air Dates and to stay in touch with Don't Tell the Doctor next episode Air Date and your others favorite TV Shows. Add the shows you like to a "Watchlist" and let the site take it from there.